For people who have higher interest credit cards or have several cards open, balance transfer credit cards may be an ideal solution that will enable you to consolidate debt and pay off your debt faster. This is especially true if you have balance transfer credit cards with a very low or even no interest introductory rate. Instead of money you were paying in payments going toward interest, more will whittle down your principal balance reducing your debt faster. With the economy rather poor right now, this is a serious concern to many people. They not only want to reduce their debt but maintain their credit score. So, they look for balance transfer credit cards. While this may be a good solution, there are some things you should be look out for. How do Balance Transfer Credit Cards Help? The way credit cards work is that you have a credit limit. This allows you to charge up to that amount as long as you are regularly making payments on time. When you make charges on your card you accumulate a balance. Each credit card also has a particular interest rate. This is calculated into the balance on your card and added to it every month. You can avoid any interest charges by simply paying off your credit card every month so you never carry a balance. However, most people do not do this. Either from convenience or an emergency they do not have the money to pay the entire amount. Therefore only the minimum balance is paid each month, interest charges are added and the balance on your credit card decreases very slowly. If you have a low interest credit card this will obviously help because less money will be added to your balance every month. However, for those who have high interest cards, high balances or multiple cards, this may be a serious issue. Balance transfer credit cards help because it can consolidate your debt and allow you to pay one payment at a lower interest rate in order to help you pay down your balance. This can be a financial lifesaver in many situations plus it can help save or improve credit ratings. 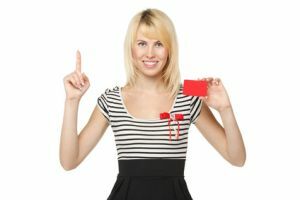 But, not all is perfect when it comes to balance transfer credit cards so you should be aware of some common pitfalls. Where to Get Balance Transfer Cards? Many credit companies will send out special offers or you may actively look for balance transfer credit cards via your financial institution or on the Internet. Regardless of how you do it they all work pretty much the same way. Balance transfer credit cards are designed in a way to help you immensely with your payment but you have to use them correctly to maximize any benefit. In order to do this your first step is to read all the offer entails so you have a clear understanding of what you are agreeing to. Whether you are obtaining balance transfer credit cards via the Internet, mailed offer or from your bank you should always get a disclosure of terms before signing up. Read it. Understand it. One of the things you should understand very clearly when dealing with balance transfer credit cards is that most of them are giving you a great deal in order to attract our business. While this is great and you can truly benefit from this, these offers almost never last and are available for a limited time only. Your first responsibility is to know what the exact offer is and how long it s good for. Plus, you need to know what will happen when the offer expires. Many times these no interest balance transfer credit cards or low interest balance transfer credit cards will have rates that increase exponentially when the trial period is over. This can be a big shock when your typical payment skyrockets or even worse, stays relatively the same but your balance barely decreases with the payment. The biggest pitfall consumers have when using balance transfer credit cards is not using them as intended. They see a reduction in payment and take advantage of that, saving the money they used to be spending across all their other card payments or splurging on other items. But doing this accomplishes nothing and will not get you very far except deeper in debt when the interest rate climbs, sometimes higher than what you originally had. So, you need to know how much time you have with the introductory offer so you can take advantage of it to the fullest and make other arrangements when it is over if needed. The way to take advantage of balance transfer credit cards to the fullest is to pay off as much of the principal as possible. At the very least you should make the same payments you had been making across all your cards. The benefit is you are not paying interest therefore reducing your principal. This will help in the long run because you will be debt free sooner and have the money you have been paying available sooner. If, for example, you have $10,000 in credit card debt and have 0% interest for 6 months our goal would be to pay $1,700 each month to completely pay off your card. Even if you cannot, you will still be way ahead after the offer is over. Even if you have to make sacrifices to make larger payments, it is in your best interest to do so to reduce your debt significantly. Another way to maximize these offers is to use them more than once. If, as in the example above, you can only afford to make $900 payments per month, you could transfer your debt again after 6 months and then pay off the remaining balance in the additional 6 months, effective turning 6 months of no interest into 12. Regardless of how you budget, make sure you use the no interest or low interest balance transfer credit cards to make a significant dent in your debt. Or, ideally, to eliminate it completely.